The heat has been on Australian cricket coach Justin Langer all summer. But as the countdown to the NRL season hots up, North Queensland coach Paul Green took time out last week to enter camp with our cricketers, trading ideas as well as reacclimatising to the pressure. 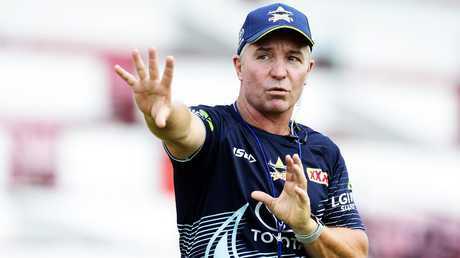 Like our cricketers, the Cowboys will enter 2019 with a point to prove as they prepare for life without Johnathan Thurston. 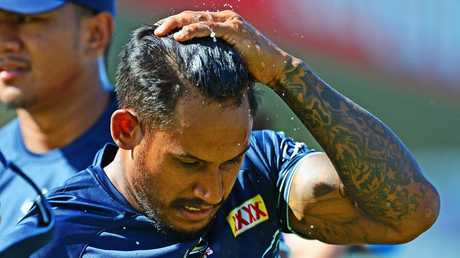 But after two seasons playing in England, Green is tipping Ben Barba will re-emerge with a bang. The enigmatic fullback turns 30 this year but Green believes Barba's best football might still be ahead of him. It's a big statement when you consider Barba won a Dally M Medal in 2012 at Canterbury, played a starring role in Cronulla's 2016 premiership triumph, and was last year judged the English Super League's Man of Steel. "I don't want to put any pressure on him because there is going to be enough pressure on him," Green said. "But just going on his training, there is no reason why not. "I am not going to say he is going to win another Dally M or anything like that. But he has fitted straight back into the speed of it and we all know he is a quality player." Green also revealed Matt Scott would be ready to start the season after undergoing more neck surgery, bolstering the Cowboys' pack along with the inclusion of Josh McGuire. With Jason Taumalolo at lock, Scott and McGuire will be fighting it out to start alongside Jordan McLean in the front row. And while most are predicting young gun Jake Clifford will be Michael Morgan's halves partner, Green reminded everyone not to forget Te Maire Martin. "Cliffo got a bit of a taste of it at the end of last year and he has got some confidence out of that," Green explained. "But people forget Te Maire was picked as the New Zealand Test five-eighth last year and knocked them back to have a really good pre-season. "Look, it is a good six weeks before the comp starts so there is a good bit of training to go. "But I'd say there is not a lot between them." Both Martin (knee) and Clifford (hamstring) have missed some recent training but should be fit to start of the trials. Asked if it was different not having Thurston around, Green said: "He is such an influential person so it is definitely different. But you can't really say if it is good or it is bad. It is what it is. "No doubt you miss having him around because he brings plenty of energy and is such a great player. "But it now gives other people a chance to step up." 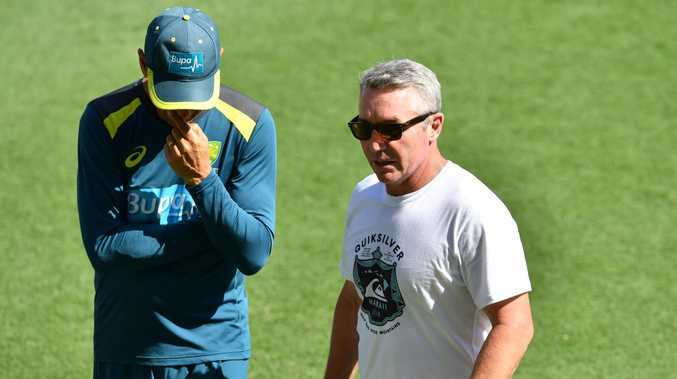 Green and football boss Peter Parr were invited into our cricketers' inner sanctum for two days in Brisbane last week at the invitation of Langer and team manager Gavin Dovey. Despite all the pressure our cricketers have been under in recent months, Green said the Aussies went out of their way to make their visitors welcome. 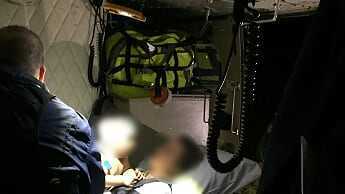 "It was really good to see how they operate," Green said. "We were access all areas so we were there when the boys got presented with their baggy greens and the whole lot. "We got there on the Wednesday and left on the Friday. "So we got to see all that went on the day before the Test started and their preparation and a full day of play on the Thursday. "Justin was very open with us. He was intense, obviously. With a Test match going on he was no different to what I would be like on game day. "But he was terrific and the players are a really good bunch of blokes. They were very humble and welcoming and polite. It was just a really good experience to be a part of."